Yup, the 'Craft is out another platform. 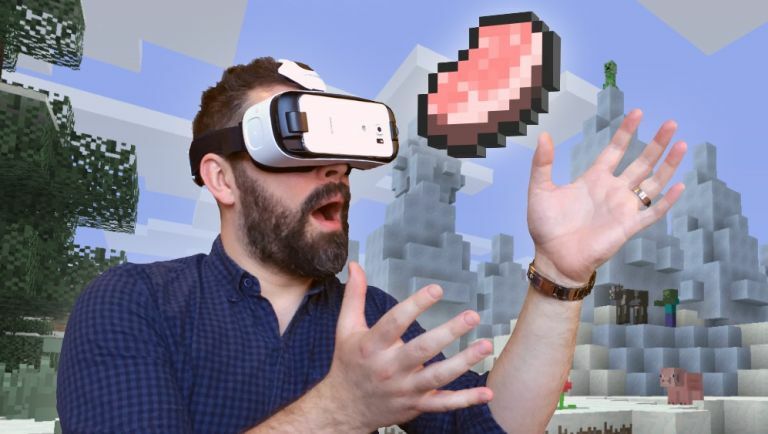 While Mojang is still hard at work getting its world-conquering block builder to work on Oculus Rift, the Microsoft owned studio has only gone and brought out a version for Samsung's smartphone-powered Gear VR! Based on the Pocked Edition (which is a slimmed down, but still creatively functional bit of software), the Samsung Gear VR version will come complete with cross-platform (so you can interact with players and their creations from non-VR platforms), including those using the Windows 10 incarnation. Mojang says the new port will work best on Samsung's latest models - including the Galaxy S7 and S7 Edge, the Note 5 and the Galaxy S6/S6 Edge. Just keep in mind you'll need a compatible Bluetooth controller to use it. "We think it's a super fun way to play the game, but, as with all new technology, read up on the safety information before deciding whether it's for you," advises Mojang in an official blog post. "You should always take regular breaks, as longer sessions can make some players feel a bit icky or strain tired eyes. We've thought hard about this and made loads of tiny tweaks to bring Minecraft to VR, like letting you turn the camera in snappy increments. It's a bit surprising at first but quickly feels normal and is a lot easier on the brain." Minecraft is out now for Samsung Gear VR.